When you register for our service we need to know your name, postal address, e-mail address and telephone number. Although we also ask for your credit card number and expiry date (or as required), this information is in no way stored on our site. We gather this information to allow us to process your registration, process any orders you may make and enable us to contact you regarding your order. The relevant information is then used by us, our agents and sub-contractors to communicate with you on any matter relating to the conduct of your account and the provision of the service (or as required) in general. We may also wish to provide you with information about special features of our website or any other service or products we think may be of interest to you. If you would rather not receive this information, please do inform us. We may also want to provide you with related information from third parties we think may be of interest to you. If you would rather not receive this information, please do inform us. We may also provide your information to carefully selected third parties whose products or services we believe may be of interest to you. If you do not wish us to disclose your information in this way, please do inform us. Cookies are small pieces of information sent by a web server to a web browser, which enables the server to collect information from the browser. Essentially it takes the form of a small text file deposited on your computers hard drive. If you want to prevent our cookies being stored on your computer in future, you may do so by referring to our internet browser&rsquo;s instructions. You can do this by clicking on the Help menu. Please note however that if you disable our cookies you may not be able to access certain services or facilities on our website your use of our website may be restricted. 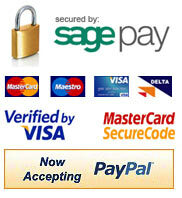 We use a secure server when you make a payment via our website. We also take appropriate measures to ensure that the information disclosed to us is kept secure, accurate and up to date and kept only for so long as is necessary for the purposes for which it is used. We also keep your information confidential. The internal procedures of Power Tools Direct cover the storage, access and disclosure of your information. If any of the information that you have provided to Power Tools Direct changes, for example if you change your e-mail address, name or payment details or if you wish to cancel your registration, please let us know the correct details by sending an e-mail to us.